Earnestly, friends, this article is a big time confession I wish to make to all my loved ones and I have to write this to threaten myself with the dire consequences of my indulgences. Okay! I am a die-hard foodie and I really love eating. When I am very happy I eat as well as when I am very sad I equally indulge and the repercussions are on my health. After ages, I had spent fifteen painless days, after the veteran gynaecologist (my fifth is last ten years) has put me on best treatment she could give to my health condition and asked me to promise her that I will eat good and workout. I am earnest in my attempt to follow all she had told and have practised Yoga every single day. But last few days I messed up, I started appeasing myself on my Blog Birthday with a drool-worthy fully-loaded Chocolate Truffle Pastry and last night I indulged in street food with kiddo for his after exam party and the result was sleepless painful night and yes my fibroid and endometriosis acute cramps have hit back and I am confined to bed writing my third article in a row... and it’s all because of my own lack of discipline, a virtue that I teach the students of my academy, so profoundly. So the fact is this foodie has to give up food, all lip-smacking, heart-satisfying food termed unhealthy by the so-called dietitians. What a dilemma it is to someone who has extremely accentuated taste buds. I can’t believe I haven’t had pani-pooris for ages now and I guess I will have to give them up forever. I can’t effort to mess up with my diet and have to fall more in love with my body than my food . I have to do it for my own good health and also for my loved ones who have to bear the brunt of my frequent trips to the hospital. 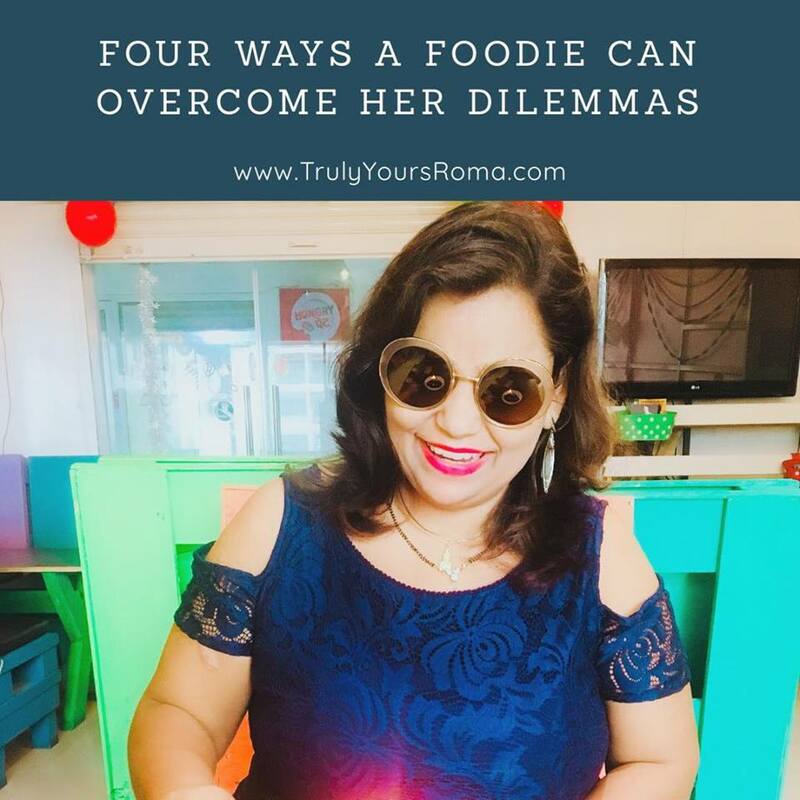 So I have decided the below four-fold simplest action plan to immediately overcome my dilemmas as a foodie who loves dining out, as the first step. Inspired by my dear friend Mayuri’s 21 Days No Sugar Challenge, I will start on Monday, that is 3rd September, a 21 day not eating out challenge followed by 21 days no chocolate challenge both actually very difficult for me but I will try with one day at a time and also update my status as Instagram stories. I will do Yoga at least 5 days in a week and be strict with myself with the asanas I have been asked to avoid. I will home cook the healthier version of whatever craving I have for food and appease the foodie in me, aiding my taste buds to adjust gradually. I will forcibly avoid unhealthy munching at all costs which happens to be my biggest weakness. So this crazy foodie is giving out this message to the universe and to all of you, my precious, that she is ready to abide by her health rules, please stay with me, give me the positive energy and strength to maintain the discipline and rules I have set for myself. With this post I pledge to be a healthy foodie and time to time I shall update you about how well I kept my promise. All of you have been my family and thus I shared my heart with you candidly. Please feel free to share your thoughts and guide me further. Life is nothing but a sinusoidal wave which gently glides you between highs and lows and once we embrace the maturity to keep ourselves balanced and motivated between either of the two extremes, this world becomes a better place. I have been able to do this after a lot of effort and am elated to be in a peaceful happy zone at the moment. 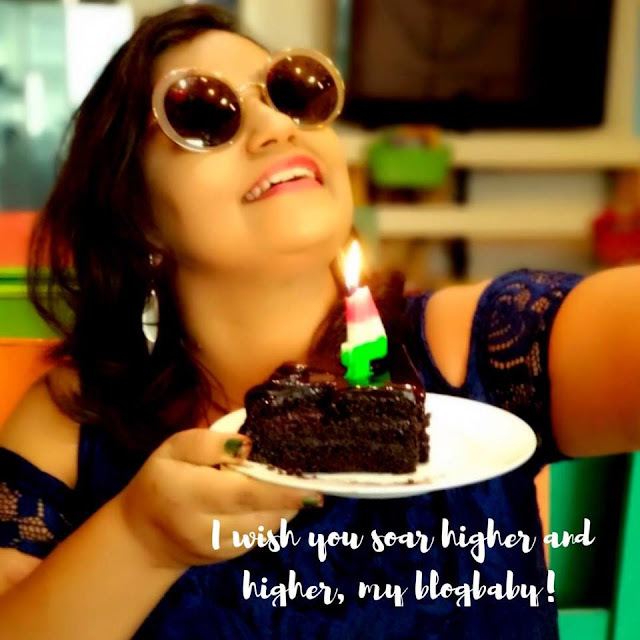 Well, the reasons may be umpteen like I just celebrated Rakshabandhan with my only sibling after six long years and it was such a memorable time for the two of us reliving our childhood memories. 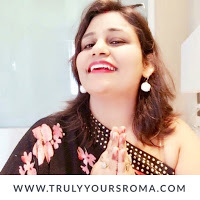 Another significant reason is my blog baby, the softest piece of my heart, my reflection, my sacred space, my mini world TrulyYoursRoma.com turns 4 today and oh my what a journey it has been. 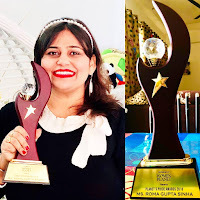 I have lived a million emotions of happiness and otherwise with it and it has been a precious witness of how spectacularly time has evolved me as a writer and then an author of three books. Every time I have been down and out, I have poured my heart out to it blatantly and have pacified my wretched soul and have thus found a way out of the situation through the self introspection it has taught me through it’s valuable readers who have always showered buckets of love on both of us. All that I have given this baby of mine in the last four years is a lot of honesty and immense love and it had reciprocated innocently by rewarding me with the due of mothering it. Well like a new mom, I had made mistakes but it has given me space and time to correct myself and not repeat it. Last but not the least both me and my baby are extremely grateful to all of you for being with us always and reading us and appreciating us. We are nothing without you..onour fourth birthday we only promise you to get better and better and entertain you to the best of our abilities on varied topics. As an author and avid reader, historical fiction has always been my favorite genre. A mix of reel and real, has always appeased my heart a little more than the rest for I believe they leave me an ounce more enriched then my previous self, each time. Even the bedtime stories that I cook for the little one have mythological characters and setups weaved in them and.. I am left in awe that how the historical stories still find so much relevance to the present day...as the peanut gradually drifts into the world of his dreams. I don’t know about him but for me yeah, these characters often play havoc in my dreams, until the truth and justice prevails. Weird, isn’t it😃? But that’s how I am. While my favorite pastime remains lying curled up with a charismatic book in the coziest corner of my home, I equally love to watch historical television shows inspired by the great history and culture of our esteemed motherland. Not only are these opulent costume dramas very insightful and entertaining, they are almost always worth watching with your family and spend some quality time together as we discuss the nuances. While the husband always has some unconventional thoughts on the subject matter, it is extremely heartening that the nine year old has also started making his contributions to the discussion. Staying in Pune for so many years now, we have picked up an ardent love for Marathi cinema and television and it is only growing further with every passing day. Maharashtra is a wonderful state to live in with a truly inspiring historical past and now that we have picked up the language, we enjoy watching Marathi shows and movies all the more, particularly me. Lately, I saw the promo of the new show ‘Baaji’ being aired on Zee TV Marathi and was absolutely intrigued by the story life. It is a historical fiction set up in the 18th century during the time Peshwai Empire was at it’s peak and thus was constantly under foreign invasion.The three lead characters of the fictional tale are Baaji, Shera and Heera. The title character is played by Abhijeet Shwetachandra who is portrayed as a brave warrior. To overturn the magnanimous Peshwai, the British join hands with Nizams and send a spy Shera played by Prakhar Singh to end the Peshwas rule in exactly 100 days and this forms the main plot of the daily soap. The character of Shera looked quite interesting and it will undoubtedly be quite worthy to watch the story unfold. There is also a love story brewing in the hindsight and I am enthralled to see the lovely Heera played by actress and eminent dancer Nupur Daithankar, a beautiful and strong woman. She looks gorgeous and graceful as Heera enticing and coaxing me further to check out how love blossoms and how consequential it is to the bigger picture of Baaji. The three characters and the storyline, which is inspired by the style of noted Marathi writer G. N. Dandekar’s novels, looks extremely promising and definitely worth a watch. The show is being aired on Zee Marathi Monday to Saturday 10:30 p.m. If like me you too are a fan of this genre, this show is undoubtedly a must watch! You can know more about it on their Twitter, Facebook and Instagram handles here♥️. I am a happy go lucky girl who loves to live life queen size no matter how adverse the circumstances are. My sunshine smile and bubbling energy may ditch you in knowing the vast sea of distraught I may be in and I purposely do that. I love the world to smile with me and not sympathize with me until my last breath. I have hit my lowest in last few months health wise but I am now back with a bang recuperating well and ready to flood you with all the reviews of the books that I have read during this period and this one is about a con-temporary love story ‘The Last Seychelles Flame’ by Medha Nagur. Feeling low, I was looking forward to a quick breezy read and being a small town girl myself I was instantly glued to this relatable tale of a small town girl Adrija. She was short and very ambitious like me and my interest picked as her story unraveled. I finished this book in one go and if it was author Medha’s maiden attempt at a fiction novella, I would give kudos to her as a reader. Her protagonist who was brilliant behind the camera, with her hard work bags a prestigious job that takes her to Seychelles. 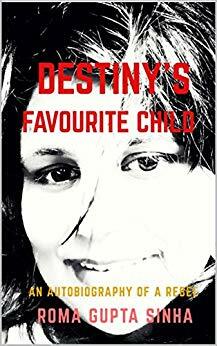 Despite of a strong opposition from her parents she brings laurels to herself until something really catastrophic happens and takes her life for a toss as if her ex boyfriend was not enough to ruin her life. 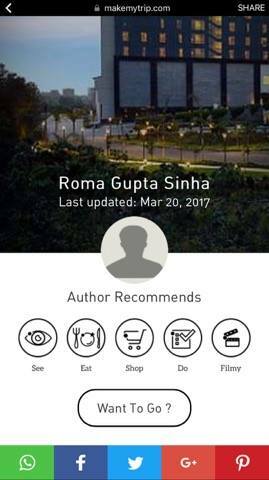 You must read this candid ebook to find out what was that? And did I say, I also liked the character of Omkar in this book, you have to read him to believe him! I always love a combination of real and reel in the books I read and also in the books I myself pen. An ounce of reality multiples the impact of the book as the reader visualizes himself in these characters partially and is left digging for more. 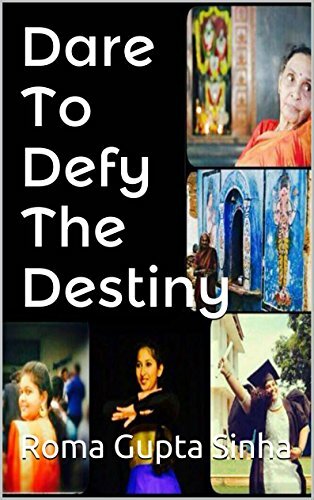 The fact that this books seamlessly weaves the harsh reality of Indian women in small town, whose dreams are crushed each day, in it made it really dear to me for it inspired them to fight for themselves and make big in life. 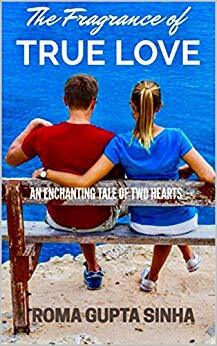 Since I am a sucker of love stories with happy evenings the end earns brownie points from me and I rate this eBook from the novice author 4 stars out of 5. You did a fantastic job, gal, keep rising and shining! 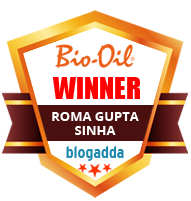 This book was released in Blogchatter E book Carnival some months back and you can acquire a copy here. 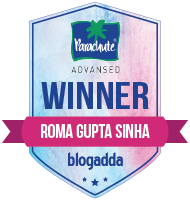 About the Author: Medha Nagur is anything but a stereotypical homemaker, at home full time but mostly dazzling the blog world online! 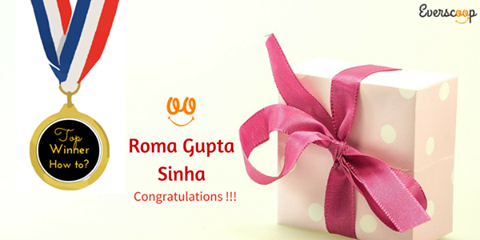 A freelance blogger by profession in her past life, she was on her maternity break when she started writing fiction. 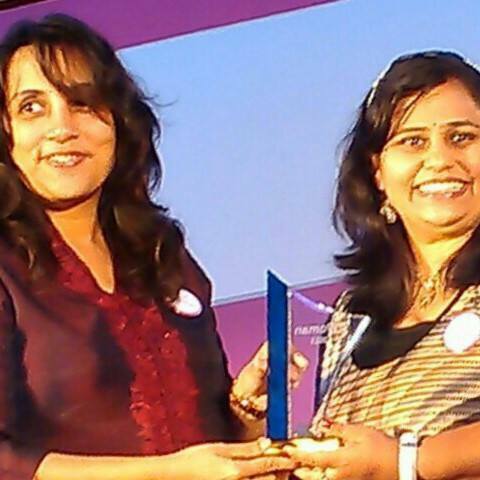 Medha considers herself a chronic creative aficionado who loves painting and writing. 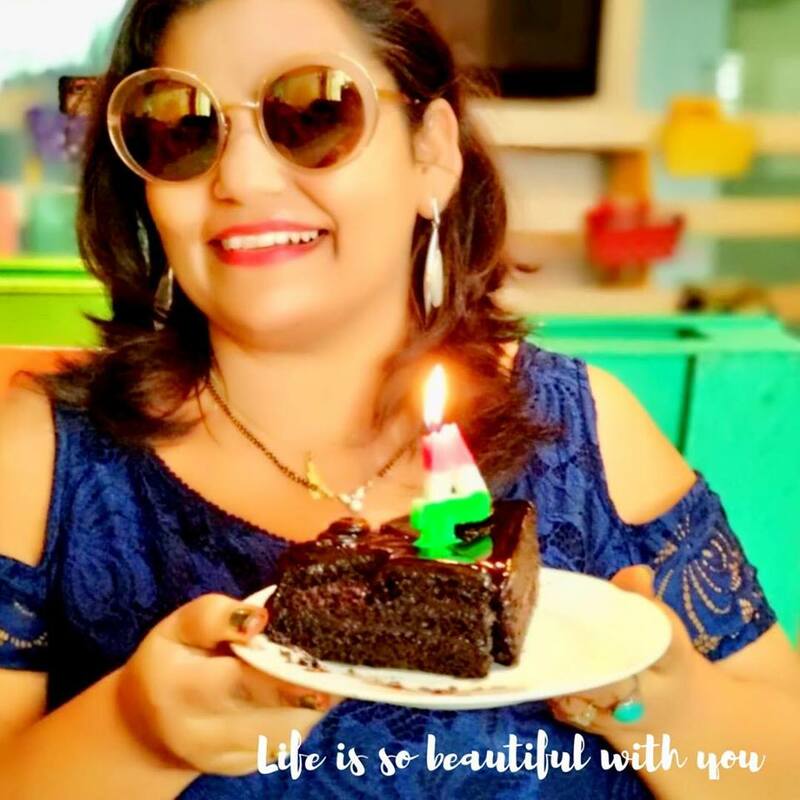 Once a lecturer in Science College, where she gave lectures in Computer Science soon after her Masters, was fascinated by the blog world and realized her love for the words and took up writing full time. She is also at her creative best when it comes to cooking ingenious dishes to cater to the needs of her 8 years old son, 1-year-old daughter and not to mention her epicure husband. Get the glimpse of my culinary art on Instagram. A music lover who likes to hit the floor on Zumba numbers is also a fashion enthusiast (like any woman on this planet!). She likes to be in the womb of nature when it comes to holidays, embracing its warmth, which she believes, is the gift to mankind. All in all, she is born to collect laughs and make a relentless commitment to love so that she can enjoy the life in abundance. Book Blurb: A short girl with short hair, 32 years old and unmarried; Adrija has all the makings of being an unsuitable girl in an Indian middle-class family. And to top it all, she is feverishly keen on following her passion to become a top-ranked fashion photographer in the country! With unsupportive parents bent on crushing all her dreams and wanting her to get married, she dares to say "Yes" to a golden opportunity and lands up in the city of dreams- without much in her pockets but stars in her eyes and a camera in her hand! But as they say, destiny favours none! 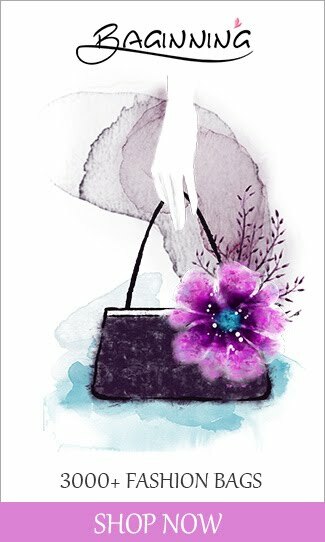 Just when she thinks that she is starting her dream journey as a Fashion Photographer, her ex-boyfriend returns with horrendous motives and tries to flip her life upside down. 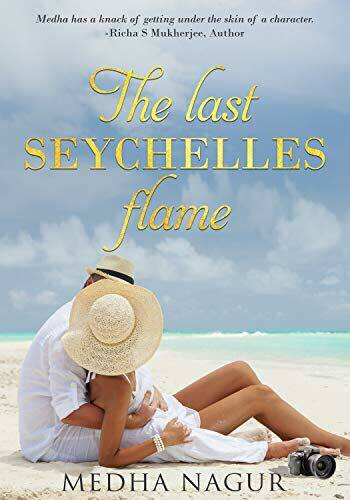 And amidst all the drama that unfolds, "Jabber Jackson", the funny guy whom she meets on her official trip to Seychelles, gets strangely entwined with her life and its chaos. Will she give up or fight for her desires or does destiny has its own plan in store for her? 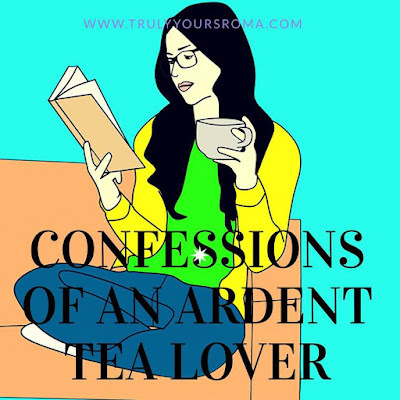 I am an ardent tea lover, more specifically a green tea or herbal teas enthusiast and my extreme love for the same stems back to 2006 when I was working on an assignment with Honda Cars in Japan. To keep the freezing cold at bay, green tea came in our office taps to keep us warm and energetic during our grueling work hours and keep filling our mugs are regular intervals. That’s exactly when my quest for the most exotic teas began which has actually culminated with each passing day. With time I also realized that my own country is the largest source of some of the best teas in the world. Till today this habit continues, I keep writing for long hours or taking sessions in my academy along with refilling my favorite cups tea with multiple health benefits and a taste to cherish 😊. Recently, I got on my hands on a varied gamete of healthy premium teas from Teamonk. I had a wonderful experience satiating my heart and tongue with these seven delectable flavors, quite unique actually. 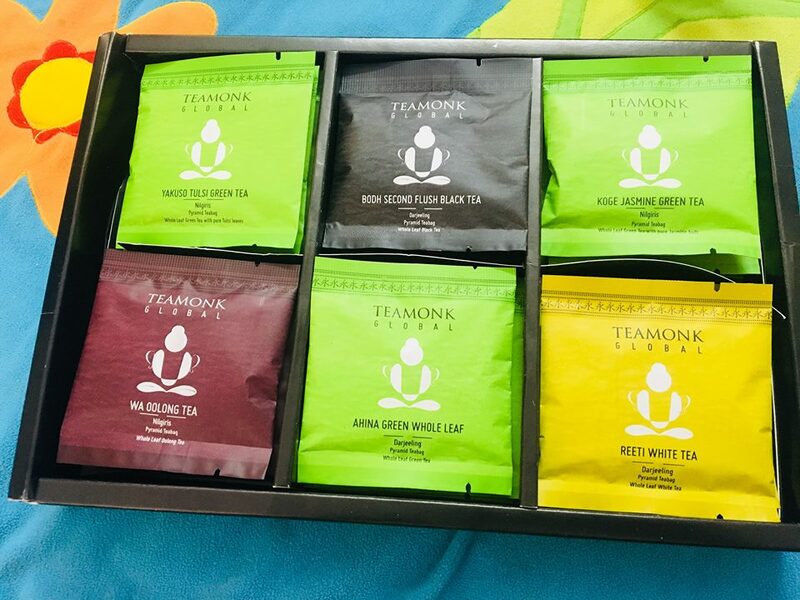 Here’s a straight from the heart review on the Premium Tea Varieties from TeaMonk, Global. 1. Yakuso Tulsi Green Tea: I have always been in awe of the health benefits of tulsi or holy basil leaves and it undoubtedly is an icing on the cake when combined with the wonderful effects of Green Tea and thus this one turned out to be my immediate favorite. The color, texture, aroma and taste speak volumes about this tea sourced from the finest tea gardens of Nilgiris and curated by Tea Monk on five health and wellness pillars-energy, detox, relax, glow and weight care. All the Teas come in pyramid shaped Tea bags and are abundant in antioxidants. 2. 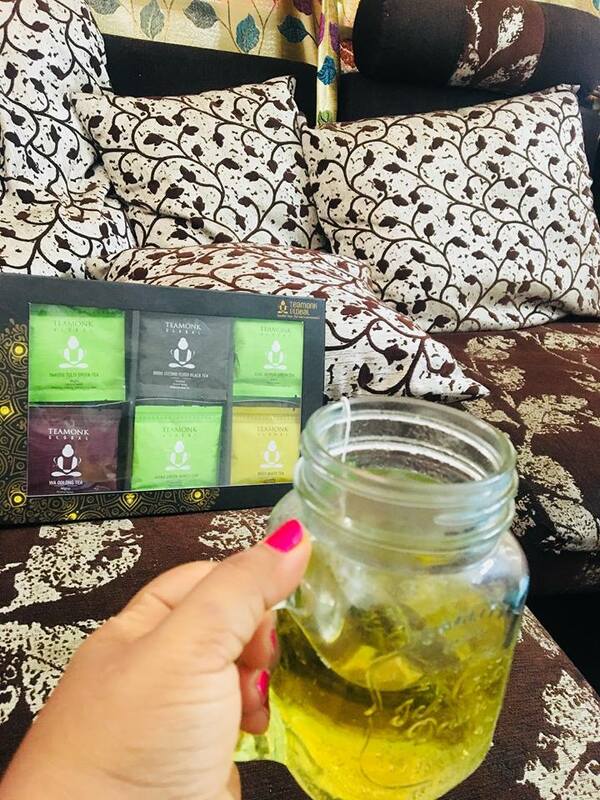 Koge Jasmine Green Tea: Imagine the divine jasmine fragrance infused in your hot cuppa green tea...it indeed has the power to evoke great creativity and good health in the most morose souls. This is my weekend cup of relaxation and soaking myself in the floral aromas of mother nature gives my heart ecstatic satiation like never before. 3. Reeti White Tea: This unconventional white tea comprising of the delicate Pak ho buds and tender leaves handpicked from pruned sections of Himalayas, is my latest addiction. I could somehow not ignore its umpteen health benefits. It is full of polyphenols, the rich antioxidants that strengthen and keep my body immuned and mind vitalized. 4. Bodh Second Flush Black Tea:ab A sip of this tea and I know instantly why it is a favorite of many eminent tea connoisseurs. It has a magic to charge you, revitalize and rejuvenate you, like never before on an otherwise tiring and very dull day. 5. 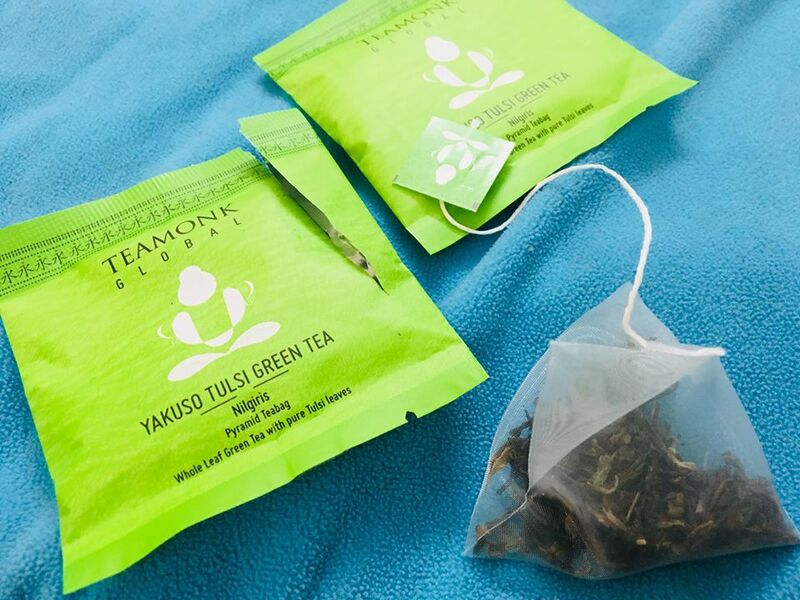 Ahina Green Whole Leaf: Ahina meaning whole and complete in Sanskrit, this tea truly symbolizes wholeness. The tea leaves in it remain whole until they are brewed and this tea is a completely non-fermented tea. I can't weave it's rich taste in words, one has to sip it to fathom the hard work that has gone in picking them from the finest tea estates of Darjeeling. 6. Wa Oolong Tea: This tea embraces goodness of both green and black teas and so just doubles both the supremely rich taste as well as health benefits. It is a very potent tool in your kitty when you want to serve something unique and beneficial to your guest or family. 7. 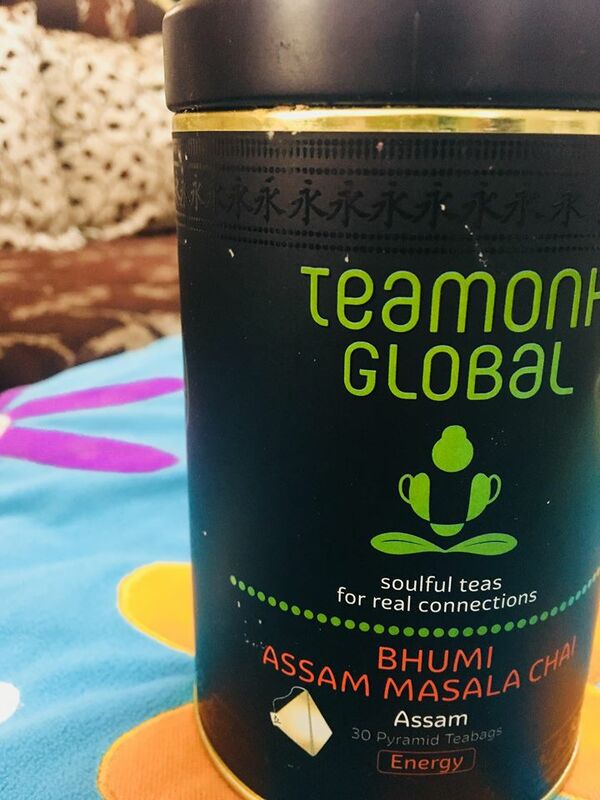 Bhumi Assam Masala Tea: This tea has all the goodness and taste and flavor of the best that can soothe an Indian taste bud. With or without milk, it tastes magnificent. Whenever travelling out of India, I never forget to carry my Darjeeling in this tea, with me so that whenever I miss home, its aroma is right there to satiate me. 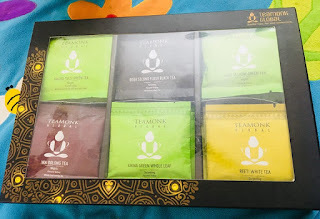 Earnestly I really liked all the premium flavors from Teamonk Global and if you are an exotic tea buff like me, you can't afford missing tasting these ones. I also find them an excellent gifting option for my overseas friends as a token from India, something truly indigenous and something we are extremely proud of as Indians. 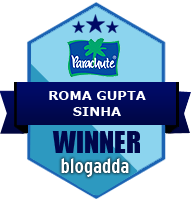 This post is a part of the Independence Blog Train and I nominate my colleague Paresh to do the next post and take this Train ahead. 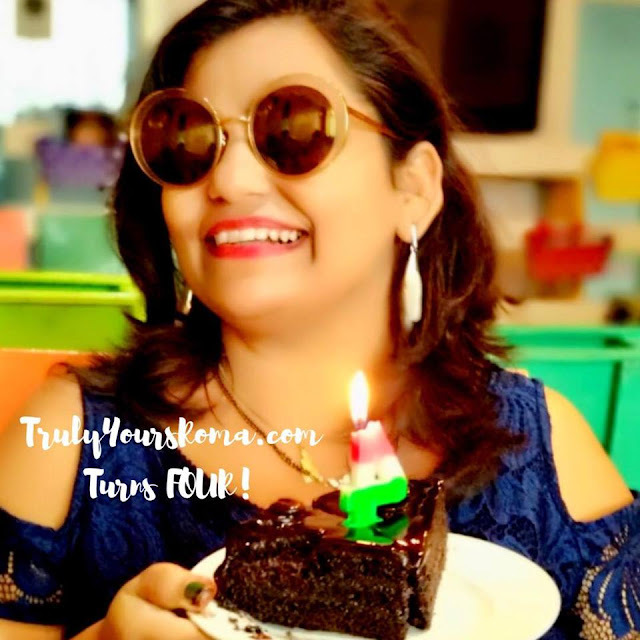 The Independence Blog Train has been hosted by Foodietweeter and Prettylilthingss1 and should not be repurposed, republished or used otherwise. 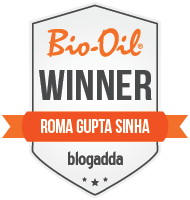 Being a new mom is the trickiest business in the world and you would be astonished to hear it from someone who has been at the helm of business development for over a decade with a major Swedish MNC before embracing motherhood big time. I was proud of my methodical way of dealing with issues that quite didn’t go my way and finally reach a perfect solution but mommy-hood to my surprise turned out to be a different cup of tea. With just the two of us, me and husband at home with our little precious, it was heartbreaking to see our kiddo crying the whole night without an iota of sleep, with we absolutely having no clue what went wrong and trust me every time the cause turned out to be crazily different from the previous occasion. When we thought it is colic and administered him colicaid drops, a visit to the Pediatrician next morning proved he had nasal congestion, and we were left sulking and more guilty each time. 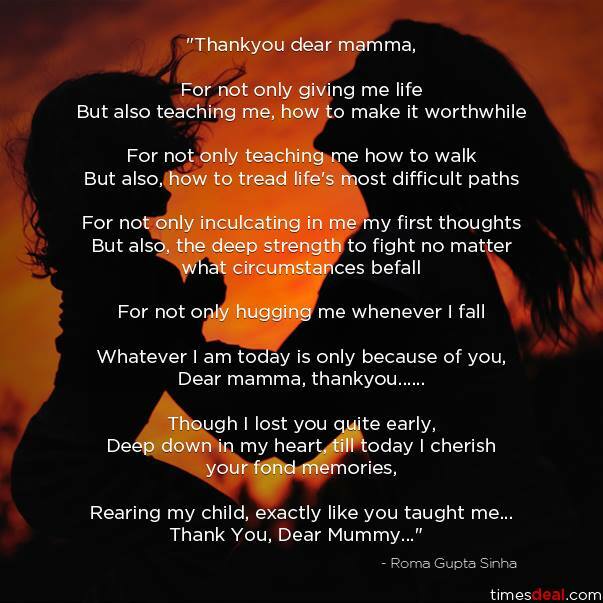 Often tears welled up in my eyes feeling helpless not to be able to pacify my wailing little prince but such is priceless motherhood I guess, where experience matters like any other walk of life. It’s only gradually that we became hands on parents thanks to the wonderful superpowers the doctor equipped us with, for example he taught us, every time our baby had a blocked nose, we can hear it from his breath by careful observation as he would be trying to breathe from mouth while the babies of 0-1 year of age are obligatory nose breathers for a long time. Nasal Congestion or Rhinitis as it is called not only deprives the little angel from his priceless sleep but also the lack of sleep makes him cranky also affecting his feeding cycle and thus overall health. Which is why it must be treated on priority. Since common cold and nose blocks are common in our little ones, our pediatrician introduced us to a perfect solution to this problem, Nasivion Nasal Saline Solution(which can be safely used by anyone) as our first line of treatment and it indeed worked wonders for our little peanut who often had cold. If the problem aggravated then after consulting the doctor, one can opt for Nasivion (Mini) Baby Nose Drops or Nasivion Pediatric (Child) Nose drops depending on the age of the child, is what he always told us and we have stuck to these words under all circumstances. It offered great relief to our little baby and we were so heartened to see our little bundle of joy get back his vital sleep and smiles, the only thing a new parent craved for. To be doubly sure and check for the side effects, we researched a little bit about it and found that its primary constituent is Oxymetazoline, which is known to be the most effective and reliable solution for blocked noses for decades. What is most impressive is its tolerability for the little noses causing them absolutely no harm. Oxymetazoline without preservatives while relieving the nasal congestion does not interfere at all with the cilia inside the nose (hair) which keeps the nose clean. Thus our trust on Nasivion has only grown day by day and it has always been in our medicine chest forever. Why let our little heart bear so much discomfort when we have an impeccable solution. As the kiddo crossed his first birthday we have switched to Nasivion 0.025 % from Nasivion 0.01 % which can be used from one to six year olds, as per the dosage prescribed by the pediatrician. It is monsoon time again and the rain will bring along more susceptibility to cold and flu, it is thus imperative to be a smart mommy and equip oneself with this basic medicine to let the little angel enjoy his food and sleep to perfection. Truly Yours Roma recommends Nasivion to everyone based on her own usage of it over years. I trust you will find it absolutely useful too. I believe in meaningful entertaining cinema and I am so proud Bollywood is now embracing strong subjects with wide arms and is not showing any aversions to taking all the risk of the universe to make and promote a movie on a subject they strongly believe in. The result is overwhelming love and appreciation from the audience who themselves have evolved over the period. If you go by the verdict of a common woman, so far late 2017 and early 2018 has been a fantastic time for an ardent movie lover in me, who loves to spend her money for getting entertained by powerful, meaningful and entertaining cinema. I have enjoyed these valuable movies as an audience who emotes with the character of the movies, as a mom, who has long waited for movies like this to come more often so that she can merrily tuck along her child to get strong values of humanity get embedded in him passively as he enjoys his popcorn and as a proud citizen of our mother nation who desires her country to rise and shine beyond all odds. Below I have curated a list of my chosen best five films of 2017-18, from among a couple more which I have really appreciated but they miss to be here just by a trifle margin. 1. Secret Superstar: What a fabulous visualization of how far a mother can go in making her little precious, her daughter, fulfill her dreams. 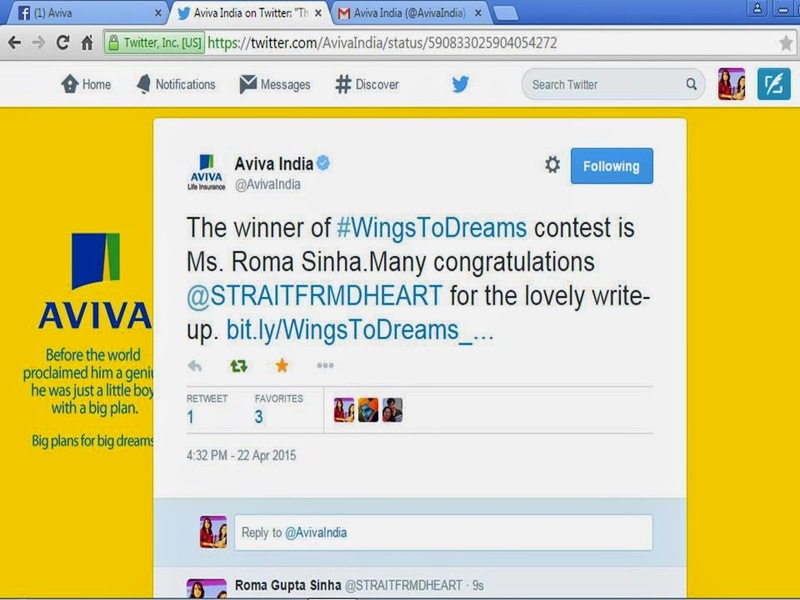 Can there be a better gift we can give our children then giving them wings to make their dreams come true. 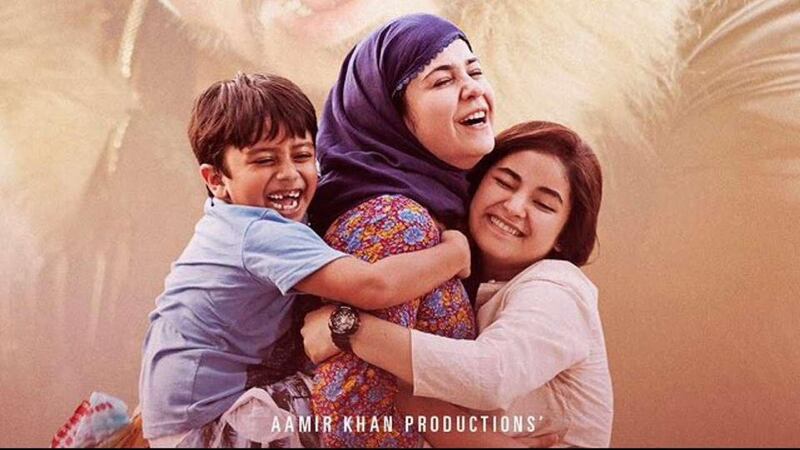 This was such a candid and sensitive portrayal by director Advait Chandan of mom-daughter duo played by Zaira Wasim(daughter) and Meher Vij(mom), I absolutely loved it to the core and felt the emotions deep within. Hats Off to Aamir Khan Productions for bringing up the subject. 2. 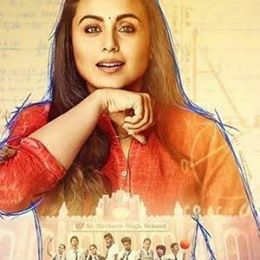 Hichki: Well earnestly, I haven’t heard of Tourette Syndrome until I watched this superb movie which has combined an impending social issue of giving right to education to the children of weaker sections of society and the protagonist’s not getting an acceptance in the profession she wished to join because of her rare syndrome. It was absolute delight how the two complement each other and come out victorious in the end. Rani Mukherjee marveled as the lead star and I had valuable time with my kid watching this movie as well the above, in fact all five that I am enumerating here. 3. 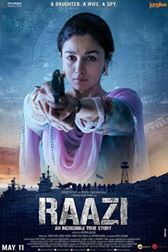 Raazi: Another strong subject and kudos to director Meghna Gulzar for choosing to adopt the novel ‘Calling Sehmat’ by Harinder Sikka inspired by real events into a movie. It is a story of patriotism of an Indian Spy who marries her daughter in Pakistan to continue his legacy and pull out vital information for their motherland. Alia Bhatt’s portrayal as this young girl is impeccable. Her dilemma between her love for her motherland and her naive and extremely loving husband is heart-wrenching and very relatable. A nice decently made movie, I recommend it as a must watch for every Indian whether you watch in a theater or a T.V. channel like Zee Cinema, Movies Ok, Zee, Sony Pix etc. 4. 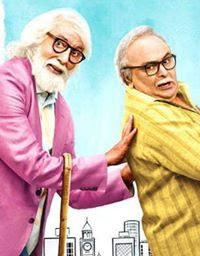 102 Not Out: A beautiful tale of two fathers played by Amitabh Bachchan and Rishi Kapoor where the former plays latter‘s dad. How the dad brings back his son’s zeal to live life king size without letting him know his intentions is wit fully shown in this movie. Rishi Kapoor has stolen my heart for the sensitive and vulnerable portrayal of a dad who longs for his son who is settled abroad. Truly the legends made the movie all the more worthwhile. 5. 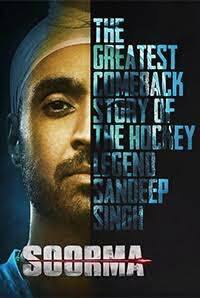 Soorma: I went to watch this one on the behest of the two sports lover boys, mister husband and my little son and I am glad I did otherwise I would have never known the true tale of the legend Sandeep Singh.I guess Diljit Dosanjh was the most ideal choice for the lead role as an innocent and impulsive village lad who initially embraces hockey for his lady love. I was equally bowled over in sheer admiration by Angad Bedi who played his elder brother. A sweet and inspiring movie, an absolute must match( you can read my full review on this movie here). Please note that these films were my heart’s favorites and I have not judged and evaluated them on the technicalities and critical parameters but as a common man sorry woman who is a die-hard movie buff but of good cinema and who loves to express her opinion on anything and everything under the sun. I trust you would have loved these movies equally and if you haven’t watched them yet, you absolutely need to watch them soon😊.